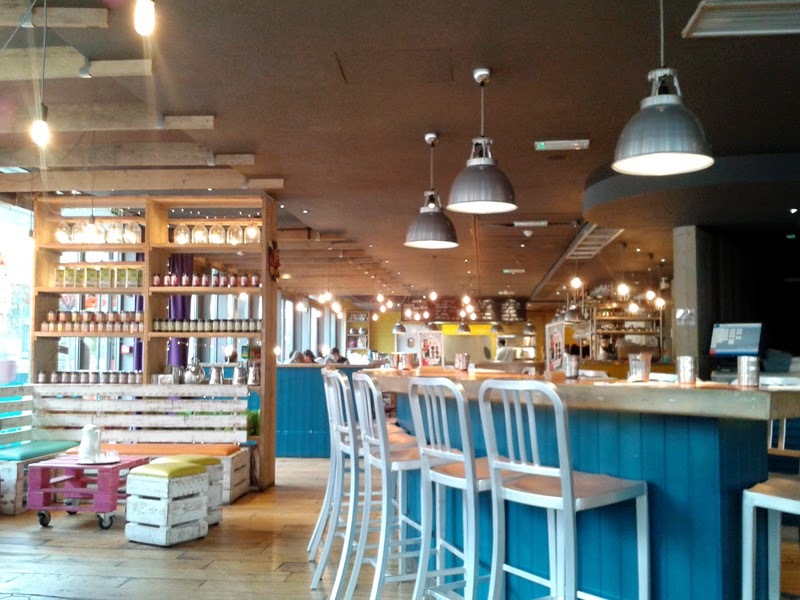 The Chilli Pickle is a restaurant I've returned to the most, not that I get much chance too, flitting to new openings and reviews, but since it's opening in 2009, it still remains fresh and exciting as those early days in Meeting House Lane. Maybe it's because the owner, chef Alun Sperring, continues to keep a close eye on things (he was on the pass at lunch today even) but the quality has never slipped and complacency never set in. And that is their success story. But enough gushing, how the heck was lunch? Well, to be honest, trying to fit a Chilli Pickle King Thali into an hour lunch bread is probably bordering on insane as there is a lot to get through. You choose a main curry and this is presented on a silver tray, peppered with pick and mix dishes of chutneys, pickles and raiita, snacks and breads. Deliciously gluttonous and for what you get, I think, pretty good value for money. Mutton they do very well here so Mr GF went for The Mutton Nilgiri curry, with soft chunks of tender meat, roasted coconut, poppy seed paste. It was sweet, fragrant and perfectly spiced. I had the Methi Keema, again mutton but in mince form. This was also very good, tempered with onions and curry leaves. 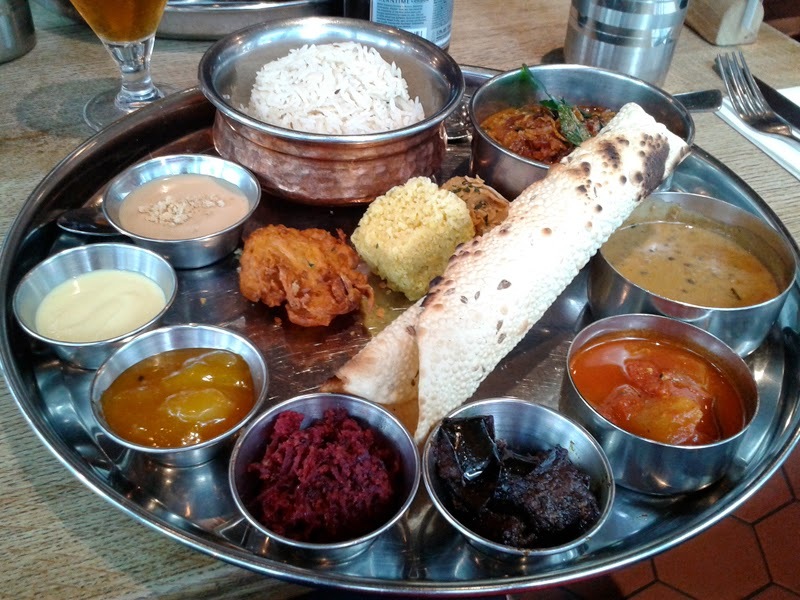 The main pull of thali is the accompaniments and today the curries were served with a creamy black lentil dal (dal Bukhara at a guess), the most delicious grated beetroot and coconut chutney, a spiced aubergine chutney, classic mango chutney, saffron Raita and chunky tomato chutney. You could then dip away with naan bread or the crisp pappad. In the middle of the dish were my favourite Indian "snacks"; a very nice onion bhaji and a crunchy potato kadak (like a croquette) filled with cheese and green chilli. Absolutely delicious and great idea with the crushed poppadom crust. There was also a perfect square of what I assume was corn bread. To be honest this didn't have much flavour but maybe intended to be a dipping sponge for all those amazing flavours on the plate. If you survived all of that there was a small dish of sweet condensed milk with a little crunchy topping. Indian sweets are not my forte but this tiny dish was the perfect sweet not to end on a meal of robust spices and flavours. The rest of the lunch menu includes lighter meals, street food, roti and dosa and a pretty amazing sounding Indian fried chicken dish. Kids are also catered for well with their own menu which I'll have to bring back the not-so-baby Foodie in for. Dinners involve more of the tandoori, roasts and kebabs (you KNOW how I feel about the tandoori platters here...oh my...) as well as curry, dosa and biryani. But whenever you come in I think you'd be had pushed not to enjoy your meal here. 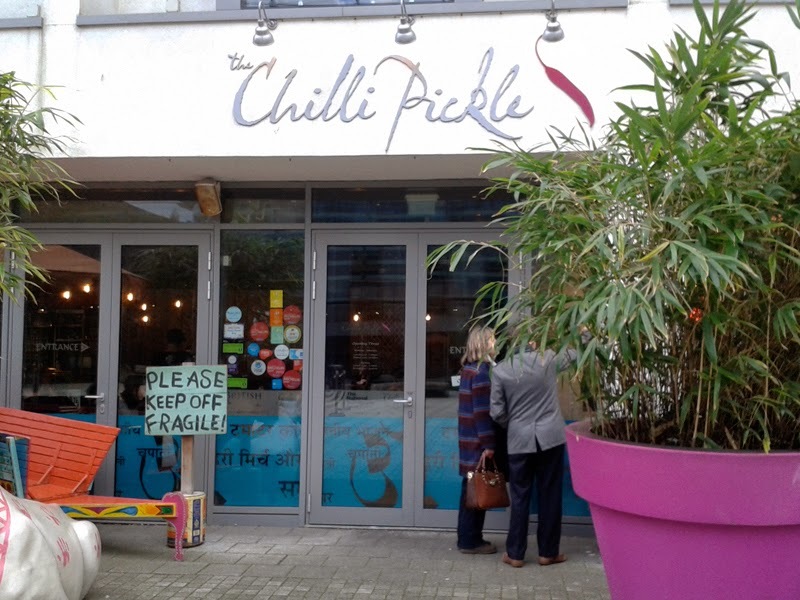 The Chilli Pickle remains one of Brighton's very best.